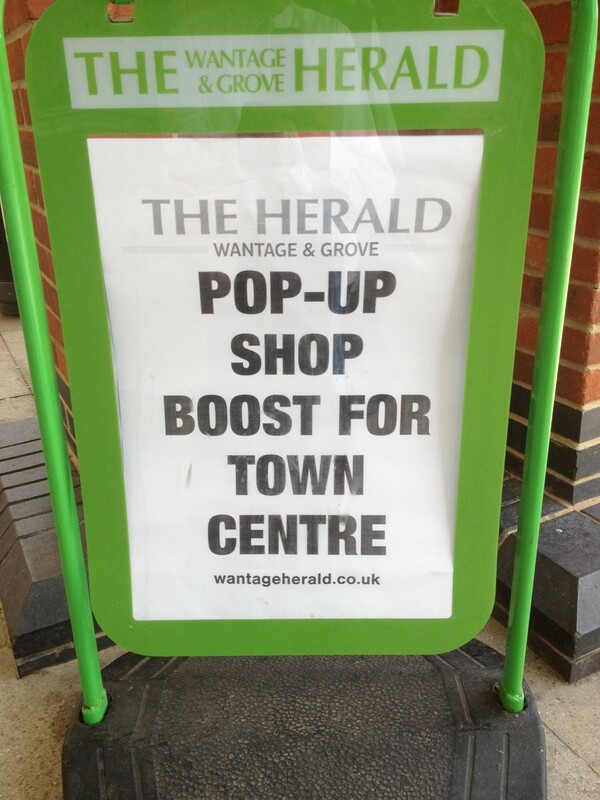 Wantage has played host to town centre specialists from across the region and beyond. The national charity Action for Market Towns chose Wantage for the latest in its series of Town Team Initiative workshops, which focus on practical strategies for boosting small market towns. Discussions included opportunities for rethinking the town centre, making the most of new policies and planning rights, the importance of understanding your town, and how a clear strategy can help deliver town centre aspirations. Mayor Fiona Roper welcomed delegates to the workshop and speakers included one of Wantageâs Town Team co-ordinators, Iain Nicholson, who shared the story of the Flashop popup shop on Mill Street. He was able to announce that Flashop will continue its run through to Christmas and into the early part of 2014 with a mix of businesses whoâve been in already returning for a longer stay, and some newcomers. The AMT Workshops are part of a countrywide roadshow which looks at the common challenges facing town centres today and explores practical strategies to tackling them.